Despite my disappointment in being unable to join Rolex for the 2018 Rolex 24 at Daytona, I can’t deny that watching in on TV was also a thrill. For me, it always is. As a teenager who basically hung out with the gear heads building muscle cars, race cars and racing at every local track we could find on weekends, I am a sucker for auto races. This amazing endurance race is no exception. Congratulations go out to Action Express Racing’s No. 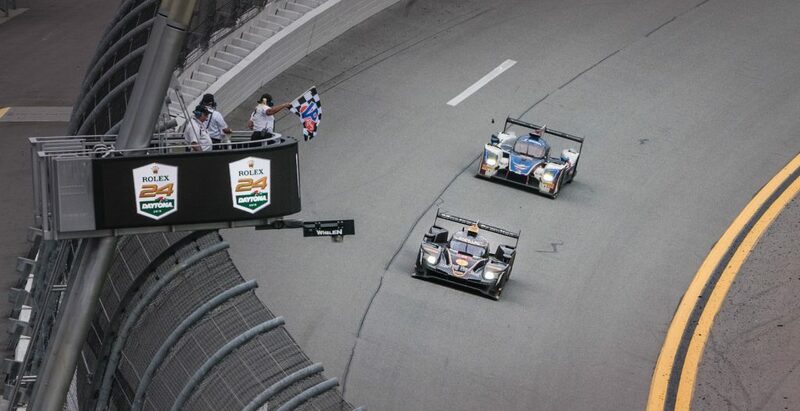 5 Cadillac for the overall win, with co-drivers Filipe Albuquerque, Joao Barbosa and Christian Fittpaldi credited with the victory in the 56th edition of the Rolex 24 Hours at Daytona race. Chip Ganassi Racing took the top two positions in the GT Le Mans class and the No.67 Ford took the win in that category. Congrats also go to Rolex, which has had a long and storied past with auto racing. In fact, back in the early 1930’s, Daytona Beach was the place to go to set land speeds (it rivaled the Bonneville Salt Flats, where auto racing began in 1914) and to race on the incredibly firm sand of the beach. In fact, more than 14 land speed records were made there, with sir Malcolm Campbell setting a record of 276mph in 1935 diving his Bluebird. An avid fan of Rolex watches, he was also wearing a Rolex on his wrist. In fact, many a racecar driver of the era, and throughout the ensuing decades, wore Rolex watches. However, they were not dubbed “Daytona” watches until the brand finally — a few years later — unveiled a Rolex Oyster Perpetual Cosmography bearing the name, Daytona. 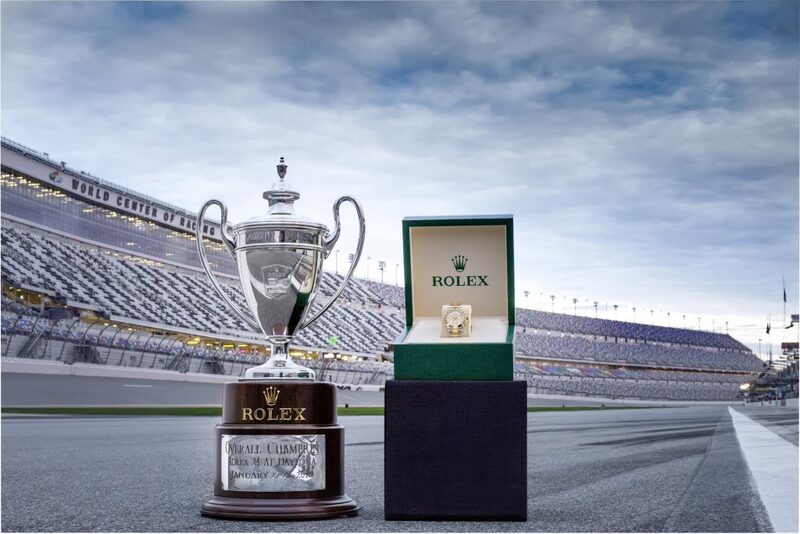 Interestingly, even though Rolex was present at so many racing events, the brand did not establish its association with Daytona and the Daytona International Speedway until 1992, when it became the Official Timepiece and Title Sponsor of the 24-hour Daytona classic. These are the roles, the brand holds today, as well as leading timing and sponsor positions at a host of other automotive events around the world. The overall Rolex 24 victory was captured by the No. 5 Mustang Sampling Cadillac DPi-V.R. co-driven by Joao Barbosa, Filipe Albuquerque and Christian Fittipaldi. Chip Ganassi Racing topped the podium in GTLM with the No.67 Ford GT driven by Ryan Briscoe, Scott Dixon and Richard Westbrook. Ford captured a one-two finish also putting the No.66 Ford GT on the podium. GT Daytona class honors went to the No.11 Grasser Racing Lamborghini Huracan GT3 piloted by Mirko Bortolotti, Franck Perera, Rolf Ineichen and Rik Breukers. This was Lamborghini’s first class victory in a 24 hour race. 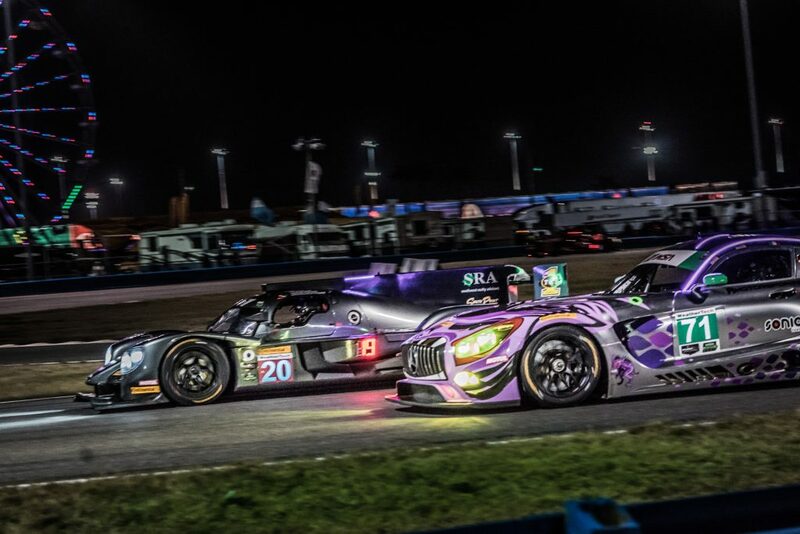 2018 marked a new record of 808 total laps at the Rolex 24, adding up to 2,876.48 miles. Scott Pruett finished his final professional race of his 50-year career P9 in the Lexus RC-F in GTD. Rolex Cosmograph Daytona watches were awarded to the winning drivers of each class by President and CEO of Rolex Watch USA, Stewart Wicht. Actually, the win photo has been added to the post. In journalism, we need to wait for permission to use professional images — we can’t just pilfer them from another site without legal consequences. As such, we sometimes need to wait for the image to be available. Larger sites with a lot of cash can subscribe to Getty Images and other services for faster availability of photos. As a growing site, I don’t have that luxury. Thank you for your comment.